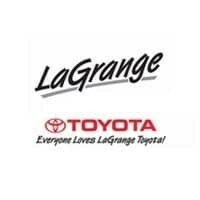 LaGrange Toyota has proudly served the LaGrange, GA, community for 40 years with new and used vehicles, auto financing, vehicle service and repairs, and Genuine Toyota parts. As a family-owned business, we believe in treating our customers just like family, and that’s probably why Toyota has honored us with the President’s Award for 28 years in a row! LaGrange Toyota is also a valuable car shopping destination for our customers, who enjoy outstanding service with every visit – services such as Tires for Life, ToyotaCare no-cost maintenance with every new Toyota purchased, the largest used car selection in West Georgia/East Alabama, complimentary WiFi, customer lounge with a coffee bar and kids’ play area, and service loaner vehicles. Our city’s name was inspired by the estate of French and American hero General Marquis de Lafayette, whose resemblance is captured in a statue that tops a fountain in Lafayette Square. Since LaGrange‘s official establishment in 1828, we have grown into an industrial business magnet and have numerous attractions and landmarks for residents and visitors to enjoy. West Point Lake is a 26,000-acre reservoir drawing thousands of water lovers each year, and patrons of the arts will love a visit to the LaGrange Art Museum. Several local architectural treasures include Bellevue (home of Senator Benjamin Harvey Hill), the Hills and Dales Estate (built for textile tycoon Fuller E. Calloway), and Smith Hall (LaGrange College’s oldest building). We are conveniently located close to I-85 and downtown LaGrange at 1221 Lafayette Parkway. Come see us today for your next vehicle!